All organizations start with the enthusiasm, vision, and values of their founder. And as more people are hired, they begin to adopt these same beliefs. In start-up mode the owner is an active leader, is highly visible and can personally influence employees to share the company’s. As time goes on and the organization grows, it becomes necessary to hire people who are more specialized. This leads to grouping employees into functions, and hiring managers to manage the people in these functions. As the organization continues to grow, more and more people are hired, and additional layers of managers are engaged. At some point, it becomes impossible for everyone to know everyone else, and the owner of the company becomes more distant from employees. In spite of best efforts, it is simply not possible to personally influence everyone in the company. The culture of the organization continues to develop, but its sharp focus as envisioned by the owner is at risk of becoming diluted. In successful companies, the culture that has developed is reinforced because by doing the right things, success continues. The founder may justifiably feel they no longer need to justify their views and ideas to every single new hire or re-explain themselves to all the people in the organization each time they make a decision. Why? The founder believes the organization’s culture has been established. At some point, as with more employees added, it is possible that there will be a dilution of culture. Unless the owner introduces systems to assure the reinforcement of what has driven the company to success, it may begin to stray. The most important system in an organization for reinforcing the organization’s culture is the managerial leadership system. The owner must ensure that all managers are doing their managerial leadership work. It is insufficient to hire good people and tell them to get to work. This starts with the owner. The owner must remember that while they are the founder, they are also a manager. They must do their managerial leadership work with their direct report executives. And ensure that their executives are also doing their managerial leadership work. The owner cannot demonstrate the organizational culture through their passion and personal interactions with the team because the company has grown far too big to have meaningful relationships with each employee. At this point, the owner must realize that their managers are their best channels to disseminate the organization’s vision. 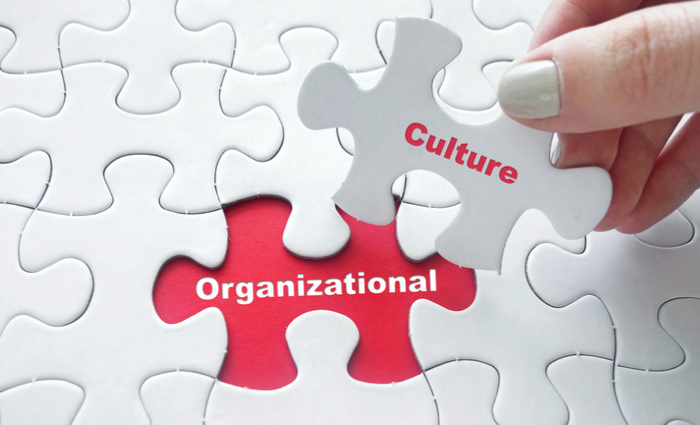 In a time when organizations are experiencing rapid growth, managers must steer and maintain organizational culture more than ever. As organizations expand and create departments that specialize in specific functions such as talent acquisition, sales and marketing, product development, and so on, formalized structures become necessary. This is not bureaucracy – it is an essential element of ensuring that every employees knows what they are accountable for, what authority they have, and sufficient context to make decisions and take initiatives that are consistent with the organization’s strategy. Organizational performance depends on effective managers doing their managerial leadership work in a coordinated and consistent way. How Can Managers Steer and Maintain Organizational Culture Through Rapid Growth?, Why Organizational Performance Matters for Becoming Best in Class, New or Fast Growing? Accountability Matters, Are You Struggling with Changing Your Organization’s Culture?